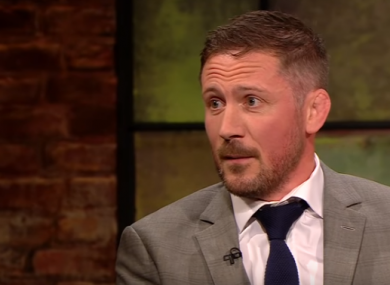 McGregor's longtime coach, John Kavanagh, on last night's Late Late Show. COACH OF CONOR McGregor, John Kavanagh, has said he does not condone the mistakes made by the former UFC champion, adding that McGregor is “paying for them”. “He has made mistakes that I absolutely don’t condone. I know he regrets them, he’s paying for them, he’s trying to learn from them, he’s trying to move on,” Kavanagh said, speaking on last night’s Late Late Show. Earlier this week McGregor pleaded not guilty to robbery by sudden snatching and criminal mischief. Miami Police said McGregor slapped a phone out of a man’s hand and then stomped on it several times during the incident in Florida last month. Conor McGregor also pleaded guilty to disorderly conduct, avoiding jail time, for his role in the UFC 223 media day fracas at Barclays Center in Brooklyn last year. Kavanagh told Tubridy that he teaches over 200 children at his gym and he’s conscious of setting a good example for them. “I know Conor does as well,” he added. He went on to say he hopes McGregor can return to “positive things”. The goal setting, the work ethic, going for something that seems impossible – they’re the qualities that I love in Conor. McGregor announced his retirement from mixed martial arts in a tweet last month but backtracked last week by stating his intention to return to the octagon. Kavanagh also played down McGregor’s retirement, saying he would be “very surprised” if McGregor doesn’t fight again. “I have seen a bit of a resurgence in his passion and his love for it and I think if the right contest comes along, something that is interesting to him, something that will get the crowd going. Email “Conor McGregor is 'paying for his mistakes' says longtime coach ”. Feedback on “Conor McGregor is 'paying for his mistakes' says longtime coach ”.